Discover this Non-Diet, Mind-Body Approach to Enjoyable, Sustainable Weight Loss. My name is Jon Gabriel. Our direct Gabriel Method number in the USA is 310 982 6594. The above pictures are actual, untouched “before and after” photos of me. I lost 226 pounds without dieting and without surgery. Maybe you saw my story on Today Tonight or on A Current Affair. Or perhaps you may have heard Muhammad Ali’s daughter, Khaliah, talk about me on various talk shows in the US like The Today Show, and Entertainment Tonight. Other places you may have seen my story include, The Sunday Morning Times, WHO magazine, Nova Magazine, Holistic Primary Care Magazine or on radio stations: Coast to Coast AM, ABC Radio and the Bill and Kelly show in Burbank, CA. This is NOT about grueling exercise. This is NOT about high-priced gym memberships. This is NOT about any form of drugs. This is NOT about meal plans. Or frankly, anything else that you think you’ve seen or heard before. When my daughter's nanny, Carole Skabe, discovered what I have to share she lost 88 pounds over a 6 month period – without dieting. Her 14 year old granddaughter, Chantelle, lost 44 pounds in just 2 months. Chantelle is now speaking with me at seminars and schools, helping other teenagers solve their weight problems forever. After Gabrielle Hart of XLR radio in Brisbane interviewed me for her radio show, she became so inspired that she lost 38 pounds. That was weight she had been struggling to lose for years, and she lost it in just four weeks. Ms. Hart has now invited me to be the resident weight loss expert on her weekly radio program. I have been truly blessed to have a very close relationship with Jon Gabriel, so much so that I consider him my brother. His wisdom and his broad-reaching knowledge have acted as a guide to help navigate me through all the noise and confusion in the world of weight loss. His story is very compelling and alluring but what’s more compelling is the way he’s going to go out into the world and completely transform it. But it’s not just celebrities that are endorsing this truly unique method of losing weight. The Gabriel Method is getting phenomenal praise from the medical community as well. Dr. Nancy Sudak, the conference Chairman of the American Holistic Medical Association read my book and was so impressed, she invited me to speak at The American Holistic Medical Association’s annual conference in Portland, Oregon. I'm a physician in Idaho, associate professor of Family Medicine at Idaho State University, and director of the integrative medical services here. I'm also medical director of the Endobiogenic Integrative Medical Center (www.eimcenter.com). I have recently finished reading your book and found your approach to weight loss to be the most comprehensive and scientifically meaningful method I've ever encountered. I also spent a small fortune on every conceivable holistic cure and alternative health treatment available. I spent weeks at The Pritikin Institute in California and I even sat at the feet of the world renowned Dr. Atkins in New York – yet nothing succeeded in bringing me anything but mediocre results. … until I stopped losing weight altogether! With each new diet, there’d inevitably come a time when I’d be too discouraged and tired to fight the cravings any longer, and I would binge. And all the weight that had taken months to fall away would come back with a vengeance within a few short weeks! And I know what it's like to be hungry all the time too. As a matter of fact, there was a time in my life when I was hungry day and night and I ate every meal as if I were starving to death. Not only did I eat like I was starving, I craved the most fattening foods possible and it sometimes seemed like the more I ate, the more I starved. … a nightmare that unfortunately you may be familiar with. It did not matter how much weight I gained either. Having enormous excess energy reserves on my body did not abate my hunger in the least. As a matter of fact, the fatter I got, the hungrier I was and the more I ate. For years I just kept gaining and gaining despite trying every diet I could to lose weight. And you cannot imagine how much I struggled (or maybe you can). … I Narrowly Escaped Death! It was the day burned into all our memories – September 11, 2001. I was preparing to book my usual non-stop flight from Newark Airport to San Francisco for what was sure to be the most important business meeting of my life. The flight was United Airlines flight 93 – (yes, THE flight the passengers forced the hijackers to crash in a field in Pennsylvania). But by the grace of a Higher Power (at least that's what I like to believe) my business partner wanted to save $150 and had me on a cheaper flight leaving in the afternoon. If I had taken my usual flight on United Airlines flight 93, I would have been history, my life would have been over. That experience (along with some equally life changing experiences that occurred in the weeks following 9/11) forced me to develop an overwhelming desire to make my dreams come true. And at top of the list was to lose weight and be fit again. Drawing upon my experience as a biochemical researcher at The University of Pennsylvania with the internationally recognized biochemist Dr. Jose Rabinowitz, I went on a quest for real, tangible, practical answers that would impact my life. I spent hours every day learning everything I could about biochemistry, nutrition, neurobiology and psychology. I also studied the field of consciousness research, meditation, hypnosis, neuro-linguistic programming, psycho-linguistics, Thought Field Technology, Tai Chi and Chi Kung. I even studied quantum physics. I became a man on a mission. I'd escaped death and had found a new appreciation for living. Nothing was going to stop me from achieving my dream. And guess what? I discovered something amazing. It was a major breakthrough. I discovered that our bodies have a FAT SWITCH. It's part of our genetic programming that we inherited from our ancestors. And when this fat switch is on, there is almost nothing you can do to lose weight and keep it off, at least not in the long term. But if you can turn this fat switch off then your body WANTS to be thin and weight loss becomes easy and almost automatic. You simply crave less food, your metabolism speeds up and your body becomes very efficient at burning fat. Your body starts working with you in your weight loss effort and you become a fat burning machine. Dieting doesn't work because it turns the fat switch on. So even though you lose weight in the short term, it makes your body want to GAIN weight. So you become hungrier and you crave fattening foods, your metabolism slows down and your body loses the ability to burn fat well. I didn't lose weight quickly at first. I lost it slowly. About 44 pounds over the first 6 months – that's not much for someone who weighed over 400 pounds. …I Was Losing Weight At a Rate of 5-7 Pounds a Week! It was the exact opposite of a diet. With dieting you lose weight quickly in the beginning and then slower and slower ‘til eventually you stop losing weight altogether. You are then dieting, not to lose weight but simply to stop yourself from gaining weight. And that’s one of the worst feelings in the world because you know that sooner or later you're going to binge, go off your diet and then gain all the weight back. That's yo-yo dieting. It's heartbreaking and it happens every time you try to force yourself to lose weight. But that didn’t happen to me this time. I wasn’t forcing myself to lose weight, my body wanted to lose weight and I lost it faster and faster. Remarkably, my body shows almost no signs of having being overweight – a fact that baffles some professionals in the medical community. And the best part? When the weight was REALLY flying off I never denied myself anything. I ate whatever I wanted. And now, 7 years later, I am still happy, thin and healthy. I weigh precisely 183 pounds and it’s now easy to stay at this weight. My body simply can't stand any extra weight on it. My body now wants to be thin. The only useful book on sustainable weightloss. I have recommended it to many of my patients. It is tremendously helpful – Everyone should read it. I’m a physician in Cuernavaca, Mexico, working both in private practice and at the National Institute of Anthropology and History (INAH) …. As I have a formation in Gestalt psychotherapy as well as the medical faculty conventional formation, and an interest in integrative medicine as well as in medical anthropology, I found your book to be an integrative and advanced – yet very simple for non-MDs to follow – approach to such a complex entity as obesity … It is my opinion that a similar approach should be followed for every medical condition… I want to recommend it to so many people! …. So I was very excited when I saw it’s already being translated into my first language [Spanish]. —Ana Cecilia Sánchez Mtz., M.D. Actores Sociales de la Flora Medicinal en México, INAH, Morelos. I explain it all in my international best-selling book, The Gabriel Method. You see, with all the media attention I received after my transformation, I was literally flooded with calls from people who were struggling to lose weight. And I started to tell people how I did it. And when I did, even more people want to know the details. And it soon got to the stage where I couldn’t' keep up with the demand. The Gabriel Method shows you how to lose weight easily and naturally, WITHOUT DIETING, by working with your body's natural genetic programming, rather than against it. In The Gabriel Method you'll learn how to lose weight without dieting by getting your body to want to be thin. It's a truly revolutionary concept and once you get it you lose weight easily and naturally. Your body switches into “get thin” mode and it actually helps you lose weight. You become a naturally thin person – eating whatever you want and enjoying yourself while getting thin and staying thin. In the book I teach you everything you need to know about why your body would want to hold onto excess weight in the first place. Then I show you how to eliminate the real causes of your excess weight and get your body to want to be thin. And that’s all you need to know. Because once your body wants to be thin, it becomes your ally. It actually helps you lose weight and I can tell you from firsthand experience there’s nothing easier and more natural than losing weight when your body wants to be thin. 5 random ways your body puts on fat—even if you are dieting! How to transform any food (even pizza and McDonald's) into a healthy, nutritious meal. A radical idea? Yes! Does it work? Without a doubt! The Gabriel Method is NOT a diet. It's not even a program really. It's a concept and approach that forces your body to want to be thin. Easily. Simply. Without willpower. NO dangerous drugs or surgery. You'll also be able to apply many of The Gabriel Method principles to other areas of your life so you can not only transform your body, but your entire life as well. Of course, I’m not the only who’s enjoyed these incredible results! Take a look at this video of Tiffany Nightingale, describing her stunning transformation. After reading The Gabriel Method, Smita Patel lost 37 lbs (16kg) and returned to her teenage weight. She transitioned into a career in fitness and was inspired by her own transformation to become a Gabriel Method coach. Today, Smita is a Zumba Instructor and a Gabriel Method Coach Mentor. Corky Stanton lost 105lbs (47kg) and got his life back. Corky used to take 6 medications and couldn’t even tie his shoes. Now he enjoys backpacking and socializing, and doesn’t need any medications, as his ailments are gone! You’ll slim down and feel great – without dieting! I made literally dozens (perhaps hundreds) of discoveries in my years of research. For example, did you know you can be eating over 5000 calories (20,000 kilojoules) a day and your body can still be in starvation mode? It’s a vicious cycle because no matter how much you eat, your body acts as if it’s starving and remains hungry. I show how to end this vicious cycle forever so that your body is only hungry when it actually needs nourishment, rather than endlessly piling on excess fat. 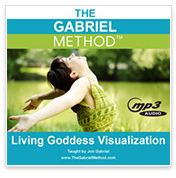 In The Gabriel Method I reveal everything you need to know in an easy step-by-step format. And to make it even easier I've created The Gabriel Method Total Transformation Package, which includes my best-selling Mental Secrets audio CD, the audio book version, and over 6 hours of additional training. You won’t need to use willpower. After all, you don’t need willpower to take part in your favorite hobby. You don’t need willpower to enjoy precious time with your loved ones. In other words, all of this comes naturally to you and so will losing weight when you follow the simple steps I outline for you. There's no need for dieting. In fact, there is no diet! I don’t believe in diets. Why? Because they don't work, flat out. And Doctors all over the world agree that my approach makes sense. The Gabriel Method is deeply rooted in the latest scientific discoveries in physiology, nutrition and even quantum physics. For the scientifically minded, I’ve included a chapter explaining the research behind my method, which amounted to almost four years in total: two years while I was losing weight and another two years while I was writing the book. During this time I read over 3000 research reports, and my training at The University of Pennsylvania in biochemistry was indispensable in this regard. Here is a scan of the bibliography of my book to help you understand just how deeply grounded in science my approach is. And to help you easily understand everything in the book, I hired an editor from Sydney to live with me for 12 weeks and go over every sentence with a fine-toothed comb. He did such an incredible job making the book seamless and user-friendly. The Gabriel Method is now a best seller in USA, Spain, Australia and Europe. In February, it ranked number 11 on Amazon's bestseller list and the number 1 bestseller in three categories! PHOTO: Jon Gabriel receives the prestigious Lifting Up the World with a Oneness-Heart award. This award honors individuals of inspiration and dedication. The award has been presented to numerous heads of state such as President Nelson Mandela, spiritual leaders like Mother Teresa, athletes such as Muhammad Ali, Carl Lewis and Billie Jean King, and entertainers such as Sting, Susan Sarandon and Richard Gere. Now, before we get into the details of how you can get started right now, I want you to imagine your ideal body. What does it look like? What size clothing are you wearing? How does your new body feel? Now I want you to imagine what it feels like to walk with your head high – feeling confident and proud of your new body. How does it feel to do everything you've always wanted to, but were not confident or healthy enough to pursue? See the faces of your friends and family as they look upon your new slim body with surprise and happiness for you. Picture yourself easily maintaining your new-found weight. In fact imagine it happening automatically. How does it feel for you to easily stay thin one year from now? Before I made my discoveries I spent a fortune trying to lose weight, and you might have too. The average person participating in any of the more popular weight-loss eating programs (you know who they are, but for obvious reasons I’d prefer not to mention them here) spends over $2000 a year in foods, consulting, etc. A membership at a good gym can easily set you back between $700-$1000 each year. Of course, you can buy any gizmo you see on TV, and all the memberships, meal replacements and food delivered to your door, but you’ve already done that… haven’t you? And it didn’t work! Or… you can simply purchase Total Transformation Package! Start learning this powerful new program that has proven to be the most effective way to learn The Gabriel Method right now, from the comfort of your home or office! It wasn’t until I weighed over 400lbs and quit dieting (yes, quit) that I finally started to get results. If you are frustrated and have reached a point where you MUST find a solution, my story will help you understand why I know exactly what you’re going through—and more importantly, how you can begin solving the problem. FAT stands for famine and temperature. Your body uses fat to protect you, and even though you’re currently not threatened by freezing temperatures or starvation, your body’s FAT Programs still get activated by dozens of stimuli that can be avoided, removed, or counteracted effectively once you identify and address them. Stress often triggers weight gain. This is not news to you. What is news it that the very act of dieting tells your body to store fat as quickly as possible. Once you understand your biology, you’ll understand why the diet industry is so hopeless and why, until now, it’s been so challenging to lose weight. The age old saying goes, “You are what you eat.” But this is only a half truth. You are what you eat AND what you assimilate. If you are unable to assimilate the nutrients you are eating, you can be overeating and starving at the same time. You can be morbidly obese (I hate that term, by the way) and desperate for more vital nutrients. That’s why you’re hungry even after a meal. That’s why you have cravings even when you’re full. Your body stores fat to protect you from cold temperatures and from starvation—but it also gains fat as it adapts to a modern world that threatens you in ways that your body is not biologically prepared for. Your body does not know the difference between real danger and perceived danger, so it can mistakenly react to any number of threats by gaining weight. While nearly every diet guru tries to convince us that it’s just a matter of calories in, calories out, or just a question of the right type of exercise, or that the secret is some super Brazilian berry… I’m here to tell you that for at least 80% of people, nothing will fix your weight problem until you fix the real causes—which are emotional.. NOTE: Some of the most successful Gabriel Method students (experiencing massive weight loss) only address the emotional triggers in their life—nothing else—and the weight comes off naturally. Your conscious and subconscious beliefs can contribute to your body’s desire to gain or lose weight. Here, you’ll learn how to take control of your mind using specific tools to put you in a receptive state for change and transformation. Some of the most successful people in history regularly used visualization to communicate with their unconscious minds. This practice enables you to make huge changes in your body and life. 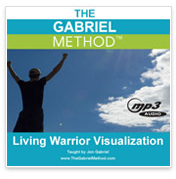 In the Gabriel Method, you’ll learn how to use very specific visualizations to program yourself for success, and you’ll be amazed at just how powerful they can be in transforming your life. Just as your body uses fat to protect you from cold weather, famine and perceived threats, it also uses fat to protect you from chemical and environmental toxins. Your body will do anything it can to keep you safe. So when you take in more toxins than you eliminate, your body quickly stores those toxins in your fat cells to “quarantine” them and keep them out of circulation. In this way, a toxic lifestyle can trigger chronic weight gain through exposure to chemical pollutants, medications, food additives, pesticides, and dozens of other potentially harmful compounds. Release the toxins, release the weight. Beyond fats, proteins, carbohydrates, and micro-nutrients, your body needs one crucial nutrient that is often overlooked—vitality! Vitality comes from electrically-charged, living foods, mind-body practices, loving relationships, and living with a purpose. When you tap into vital living, the weight melts away naturally. Stress makes some people fatter and other people thinner, and in this module, you’ll learn how to consciously tap into your biological “Get Thin or Get Eaten” adaptation where your body begins to associate being thin with being safe (instead of being fat). When you start working with your biology, weight loss comes naturally, without struggle. Transforming yourself and creating a new body is a simple process of collecting positive habits over time. In this section, you’ll create a very simple plan-of-action for moving from where you are now to where you’d like to be. In addition to watching just one of the video book modules each day, I want you to listen to my evening visualization program every night before bed. What if you fall asleep? That’s great. How does it work? Visualization is one of the most widely-known success tools that hardly anyone uses. For weight loss, it’s nothing short of revolutionary for most Gabriel Method students. Each night, listen as I guide you through an empowering visualization with SMART Mode music playing behind my voice to help increase your receptivity to change and weight loss. WATCH the video modules at your convenience. You can watch all the videos today if you wish, though I often suggest just taking it slowly with 1 video per day for the next 12 days so you can assimilate the method, step-by-step. The book that started an international movement… you’ll learn the entire Gabriel Method approach to weight loss during your video book training, but many people find it helpful to also have the book on hand for quick reference, so I'm going to give you a complimentary copy. For me, the truly remarkable results didn't take place until I realized the problem wasn't my body, but my lack of understanding of how to operate it. When I figured out how to “drive” my body, and literally make it want to burn fat 24 hours a day, that when I found the results I’d been seeking. And if my results are anything to go by, the same will happen to you! NOTE: this is a 100% digital ebook accessible immediately. the evening visualization is what I want you to start with and commit to at first (which is why it’s included in the core Total Transformation package). However, I’ve found that many people find the visualization process so powerful after following The Gabriel Method for a few weeks, they want to do them in the morning and evening. If that’s you, then use this guided practice. It’ll energize and inspire you for the day to come. there has been a tremendous amount of research around the use of specific binaural beats and their effects on your brainwaves. It’s no coincidence that I add SMART Music behind my voice to all the visualization practices. It calms your mind and makes you focused and highly open to change. You can listen to this music any time, day or night when you want to connect with your inner power. this guided visualization is specifically for women who are feeling drained and need to tap into their feminine radiance. Take time for yourself, just a few minutes, and unlock the goddess within. this guided visualization is specifically for men who are often left without time to recuperate and find their center due to modern time restraints. Take a break and tap into your on-purpose, masculine energy that might feel hampered by your current state of mind. I’m passionate about creating super delicious, super nutritious foods. Food is life force energy and eating great food makes you feel wonderful. If you or someone you love has children struggling with a weight problem, this short lecture will help you understand the real issues at play, and more importantly, provide concerned parents with some practical solutions. As a parent myself, I know how challenging it can be to raise healthy children, and I think you’ll find this lecture immediately useful. Listen to my live lecture recording from the American Holistic Medical Association. This presentation is what brought my approach to sustained weight loss into the mainstream and brought international recognition from the mainstream and alternative medical communities. After so many years of work, it was wonderful to finally have The Gabriel Method receive the respect and attention in deserved. I’m excited to share it with you. This 90 minute presentation explains exactly why you’ve had a weight problem – and what you can do about it. This is likely to be one of the MOST important lectures on weight loss, health and fitness you’ve ever heard. 50 pounds (23kg) lost so far and still going strong! A busy mom, Gina learned that taking time for herself was key to her weight loss success. Gina feels happier and her family is noticing- plus her daughter can wrap her arms around Gina for the first time! Christian Petersen is a teenager who lost 115lbs (52kg) using the Gabriel Method. Christian learned the psychological reasons behind his obesity, and describes how visualization and exercise were key to his radical body transformation. Everything you need to transform your body and your life using The Gabriel Method, the only diet-free program for sustained weight loss. Keep it simple, trust the process, and you’ll be amazed by how quickly things can change. 365-DAY, 100% GUARANTEE – No Risk! You already know that there is no one-size fits all approach to weight loss. I know this too, and that’s exactly why I’ve created the Gabriel Method. My unique approach is not about me and my theories—it’s about helping you identify what’s going on in your life that’s making your body want to be fat right now. And then, once we find the causes, we’ll reverse them… forever! A WORD OF WARNING: If you’re looking for a “lose 20 lbs in 20 days” fad diet approach, I can tell you right now, the Gabriel Method is not for you. This method is about resolving the core issues that are causing your weight gain so you can lose all the weight you need to and keep it off forever. This is about changing your life. My mission is to share my experience and knowledge with as many people as possible. Helping others overcome their weight loss challenges is literally my entire life’s focus. I know my approach works because I get hundreds of emails and calls from students all over the world, every day. Due to the sheer volume and diversity of success stories I’ve collected in a relatively short period of time, I believe there is a very good chance I can help you too. But… if for any reason (or no reason at all), you are not happy with the Total Transformation Package, you have 365 days to request a full and prompt refund—no questions, no hassles, no need to mail anything back. That’s right: even if you do decide this method is not for you, I’m going to let you keep all $156 worth of bonuses just as my way of saying “thanks” for giving it a try. Back in 2002 when I weighed over 400lbs, I got burned time and time again by weight loss gurus and doctors who promised to solve my problems. I don’t ever want to create that situation for anyone, so I take all the risk here, and you risk nothing. I’ve lived through it myself. Remember I lost 225 pounds and have kept the weight off without willpower or dieting. I know what it’s like to have your body force you to gain weight. Most “experts” have no idea what that’s like, they think it’s all in your head or that you’re being lazy or weak. I know that’s not the case and I prove it with my life, my research and with results. People who have tried to lose weight their entire lives by dieting are now finally losing weight and keeping it off! We now have thousands of letters, phone calls and emails from people all over the world using The Gabriel Method to get tremendous results. I don’t believe in diets. I prove they don’t work and I show you exactly what does work: turning off the fat switch and getting your body to want to be thin. Doctors and health care practitioners all over the world are now recommending The Gabriel Method to their patients. I’ve dedicated my entire life to helping people like you lose weight. This program is the beginning, not the end. I have on-going free support, resources, and call-in days where you can connect with me personally. This is my life’s work, and there’s nothing I enjoy more than helping people achieve their dreams. Even if you decide this program is not for you and request a refund, you lose nothing. You keep my book (that I’ll mail you) along with all the other downloads and materials just for giving it a try. Take up to a full 365 days to decide if this is right for you. If at any time, you decide “no”, just send an email and you’re done. Nothing to mail back, no hoops to jump through. This is only rewarding for me if you get results. Amanda from Melbourne saw me on A Current Affair. She was so inspired by my story, she immediately requested a copy of my book. At that time she was 69 years old and a “very severe Type 2 diabetic”. She read my book and started working with my visualizations and loved it! She noticed her hunger pangs started to disappear… and… she even began craving healthy foods. A mere eight months later, she’d lost a total of 113 pounds and reversed her diabetes! This is a true story! Her blood sugar went down from 19 to 6 and her doctor couldn’t believe it. She’s experienced an amazing transformation! But this letter isn’t about Amanda. It’s about you. And I want you to imagine for a moment what your life would be like if you could resolve your weight challenges forever… what if you never had to fight cravings, worry about “good days” or “bad days”, struggle to find clothes that fit you well, and feel uncomfortable in your own body anymore? … but the next step is up to you. p.s. In 2002, when I weighed over 400lbs, I pulled my car off to the side of the road and in a flash decision, I said to myself: “I don’t care what happens, I’m never going to diet again!” I’ll never forget that moment as it was the start of what has become a completely new me. If you’re in that same place now—fed up and determined to find a better way—I’d encourage you to take action right now. p.p.s. Start right now. Remember, since this is a digital product, you can start immediately—no need to wait. If every person was given this book, no one would be obese. It would be an epidemic of the past. It almost seems sad people are dying because of obesity when it’s so simple to be thin! I have been struggling with my weight for the past ten years… I could not understand because I don’t eat desserts, cakes, chocolate or sweets and I cook most of my food. After reading your book I realized that I was actually nutrient deficient. Since I have been listening to your CD every night, I don’t feel hungry at all. I was working at radio station 4BC when Jon came on to our breakfast show at my request as a producer for several shows. I was so impressed by my own results with Jon’s Method, I wanted to get him on air. WOW! I read [the book] over two nights, couldn’t put it down. It was like the penny had dropped, after three days of listening to your meditation CD, my whole relationship with food changed. I can’t explain my extra energy, my ability to handle my very stressful job is so much easier, I’m happier and more confident. I cannot remember the last time I felt so alive, fulfilled, and happy. When I read your book it was as if you knew me better than I knew myself. It is amazing that more be people have not made the connection that a healthy lifestyle consists of taking care of the mind, body, and soul, instead of just the body. Since I’ve read your book and listened to you CD, I’ve been craving dark green leafy veggies, and I’ve also slowed way down on sugar. As a matter of fact I don’t crave sugar! My daughter is doing great too. We both have committed to following your lifestyle. I tell everyone I see about your book and CD. Thank you so much. You have brought together a multitude of aspects and created a truly holistic ‘treatment’ that is more like a new lifestyle, complete with raised awareness where it all makes such intuitive and rational sense. I am feeling so much more energetic already as I gradually introduce more live foods and nutrients into my body. Your desire to share your wealth of knowledge and amazing success with weight loss is what is so inspiring to me and I’m sure will be to millions of others around the world. … for the first time in over 20 years, I am not hungry. I feel content – just very different. For some reason, I don’t seem to require a lot of food. My portion sizes have gotten smaller. I don’t measure them out, but I look at what’s on my plate and it really is a small amount. I just don’t feel that I need it. I don’t crave sweets either and I’m a chocoholic – at least I was one. Now I can take it or leave it. After following your method I can now get back into some of my old "skinny" clothes, which is fabulous! PLUS I am eating a lot more and exercising less! So, Jon…a big THANK YOU. How wonderful for you to be able to help people in this way! Your work has helped me in at least two ways: first, since my husband died 20 months ago, I added 15 pounds and have slowly lost it over a year…but it would keep coming back in 2-3 pound lots. I now know why I gained the weight and how to take it off without cycling through diets and most of all without ‘working’ at it. The Gabriel Method is the most amazing process, our bodies work the way they work. I have been using this method for a month, cut back my walking by half and people are asking me what diet I am on! I have complete pleasure in telling them I am on no diet and letting my body get me to where I need to be. I’ve applied visualization techniques using your CD for the first time last night and I’m feeling a big difference from within today. I find I am no longer obsessing about food all day. I have had chocolate bars and cake in the house all week and I have paid no attention to them (normally they would pray on my mind all day until they were gone, and still I would not be satisfied). Gone are the days of constant dieting, taking pills and shakes and feeling guilty about food. I now have a powerful tool (my mind) just took someone like yourself for me to realize it was always there for me and will work for me when I truly need it to. Any doubters out there I say, give it a go! You have nothing to lose but weight which has held you back from the true sense of living. I bought your book and I finished it in one day, I couldn’t put it down. Today, I saw my reflection in the shop window, and usually I would be horrified and get myself down and depressed about it, but thanks to you I smiled and thought, my body is the way it is now and I accept it. I just wanted to let you know how much I appreciate you and your wonderful work. My doctors were all very skeptical… [but] said yesterday that he hasn’t seen me looking so well in 12 years and is totally gob smacked with the food I am now able to eat. So here is a BIG THANK YOU JON GABRIEL for giving me a chance at a normal life. I have tried all the spectrums of health including naturopaths and the like all to no success. But the Gabriel Method has done the trick and I am jubilant that I am getting my life back. I am already feeling 100% better and have so much more energy. Like you, I have spent thousands of dollars on trying to get my health and weight right using both Western and alternative medicine and had all but given up trying. You have touched on things that I have been dealing with my whole life. I wonder why they are never acknowledged in the health industry as contributing to weight issues. This diet has had a truly dramatic effect on how well I maintain emotional balance throughout the trading day. My head is clearer, my mood is better, and I can quantify an increase in profits starting within days of changing my diet and how I handle stress. Awesome! Thank you for your work. I’m healthier and more vibrant and I forgive and accept my body as it is. I have let go of the belief that I would never be as thin and beautiful as I was as a teenager and have embraced my ideal body! I have a photo of me in a bikini at 15 years old by my bed. I feel liberated and free and no longer have good and bad days! Every day is wonderful. I’ll never look back. Thank you so much! I am not hungry and I only want to eat fresh and real foods. And my body is loving it. In addition, I am claiming my passion – I have started a business, and in order for this idea to come forth, I have to be willing to be visible… and now I can hardly wait! I’m recommending your book to everyone I know whether they’re overweight or not (even my thin friends aren’t eating right). I just wanted to let you know how excited I am to have found your book and for the changes to come. I recently gained 20 lbs during a four-month period of unemployment. But after reading your book, I get that it was due to fear of scarcity and I was trying to store as much as possible! How freeing to realize that I now have a tool for the rest of my life to make sure this never happens again. Life feels more do-able now thanks to your experience, research and desire to share with others. You have done the research for me! I knew something had shifted and now I know what that is and how to change it back. I know we are all on the path to physical change and expect to be able to add some lovely after pictures to your success list soon. Within just one hour of making that initial decision, I noticed my son who had been emotionally and verbally abusive to me on a daily basis since he was 7, began treating me differently. Intuitively, I believe, he recognized the new me and he felt quite differently towards me and at 14, he cannot name the change. Thank you for giving me back my son and for helping me to love myself again. I have type II diabetes… your information made everything that much clearer, and the visualizations I have been doing with my ideal body made everything very real. I will indeed be exercising with joy and (relative) ease soon, and that my body will be transformed to my ideal almost effortlessly, in about a year. Thank you Jon, from the bottom of my heart—I know I can never repay you, but I shall be forever grateful. I enjoyed the book and the CDs have been great. It has only been a few weeks but the results have been amazing. Thanks. I had managed to control my weight until my forties. Then all bets were off. I finally feel like an ordinary human being with a problem, not someone who belongs in a room marked ‘fat person’. I’m on week 2 of your program and I’m already noticing a big difference. I am almost 300 lbs and yet I can feel my new body becoming a reality. Thanks for your advice. God Bless. I feel a great burden lifting off of my shoulders, weight loss is no longer an effort, all I think about now is a new slim me, healthy and happy. I feel this energy surging in my body and it totally confirms what my mind is thinking like my mind and body are finally talking to each other in harmony. It’s an incredible feeling that keeps me motivated all day. Since I started doing the bedtime meditation CD, I’ve slept through 7 nights in a row! This is HUGE. I’m convinced it’s the CD. When I wake up too early, I take a deep breath, relax, and find myself falling back to sleep instantly. I just feel like there are so many things that are the same for me as in the book. I am not wonderful with words but just want to say how hopeful I am for a better life and seeing a door to it. You are the living proof of what I’ve believed for ages and I could not get my kinesiologist to understand that my weight issue is not about food. And yet, when I phoned her the other day to discuss the fact I felt that "GUILT" was making me FAT, she told me about your book and told me to look it up. You have given me hope, boosted my faith and got me excited. I also find your "switch" a very powerful visualization tool. I have been listening to this CD every night for two months and I am a different person. I’m much calmer, I don’t get the shakes if I don’t eat, and I crave yellow and red peppers all the time!! It’s amazing. I just wanted to reach out and say thanks for saving & changing my life forever. I’ve listened to plenty of "weight loss CDs", but yours is quite different. I’m eager to listen each night before I drift off to sleep. You speak as a friend, you speak wisdom, and you have carefully chosen your words so as not to impose any value system on the hearer. Your respect, caring, and sincerity shine through. I’m just wallowing in the pleasure of being told all I have to do is breathe. YAY. I can manage that. And I can feel it working. Your method is not just, or even primarily, about food; it’s about ways to mend a dysfunctional lifestyle. I feel that your book, CD and web material have really turned my life in the right direction, back towards almost-forgotten joy… thank you from the bottom of my heart! I have only been practicing this for 8 days and have already noticed a change. I am astonished at how much better, in just 8 days, I feel. Thank you. You know when your body says ‘OK we are ready to get rid of this fat’. Thank you for your brilliant research and for your honest message. I have passed this book on to all my friends! Your book is an answer to a prayer I barely knew I was making. When my day started today, I felt hopeless, angry and discouraged about the state of my body. As my day ends I have hope that I can eat freely and joyously, be healthy and vital and still be thin. Now I just want to eat right and exercise. If I can do that, the weight will be where it’s supposed to be. The thing I want to comment on is the spiritual nature of the book. I think it should be talked about in that sense and not just as a ‘diet book’. This book is much bigger than it appears and I want to personally acknowledge your search for health and your sharing of it with us. Something is obviously working for me, I feel like a different person. I crave fresh fruits and veggies and have become very interested in eating only healthy foods. I enjoy doing the visualization every night, I feel it has a major impact on my day. I’m consciously working on several issues in my life to relieve stress. I love the Spiral Spinal Meditation you do on the 3rd Transformation CD. I have not had the urge to jump on the scales yet. I have decided to wait a month, that’s a breakthrough in itself, I feel lighter I feel healthier, God I feel happier… I am trying your method and I can’t praise it enough, because for the first time in my life I really, really want to be slim. Thanks John I will keep you posted. I never knew I could feel so happy, eat less, and so effortlessly, because my body just does not want so much food. Thank you for putting so much effort in helping people all over the world. You are a wonderful person! All the best Jon and a big thank you! I know you have probably heard it a thousand times but I am amazed that my cravings have disappeared in 2 weeks since reading your book. I have only recently started on your lifestyle change and as a type 2 diabetic, I have seen a remarkable change in levels in only a few days. I have not taken any meds for 2 days and this morning’s level was only 5.7 then after breakfast 5.8. Is it really this simple? Thank you very much! I noticed my legs, arms, shoulders, body even my face and neck have become quite firm really quickly, as I do not have too much weight to lose I was not sure how my body would react. I am so pleasantly surprised. Every time I hear an authority speak now about calories in-calories out, or "biggest loser" shame based, drill sergeant stuff, I think about the simple truth of re-setting the fat programs and reducing stress… well, clearly there is just a whole lotta need out there for this precise work…. I have slept more peacefully than I can believe. As of yesterday, the sweetener has gone and I am using sugar only, but much less than I normally would. After struggling with weight all my life (I’m 42) I recently got to the heart of why I wanted to be fat. I am finding the tips in your method incredibly helpful (especially the water at night). I’d only listened to your CD three times, yet, when shopping, felt compelled to buy fruit etc. I went down the chip aisle to try to buy some corn chips, but just didn’t want them! Seems to be working already! Thanks. Thank you in advance for all of the new life skills the Gabriel Method has given to me. The words and sentiments offered are invaluable information that I cherish and carry with me every day. Thank you. I have never slept as well since I have been listening to your CD. Somehow, I have never got to hearing the whole CD! I feel encouraged, lighter, and as if there is lightness in my chest… I still have a lot to do—mainly throw out every diet book, how-to, and recipe I’ve been saving for years that I have in the house. Nuts to all of them. You’re the only person who makes sense, seems quite sane and who truly understands. Mr. Gabriel you are amazing. I have been following your book and CD for three days. Yeah, three days and I already feel like a healthy, fresh new person. You’re truly an inspiration. Thanks so much. I’m sure the 30 pounds I carry will disappear but it really does not matter anymore. Thank you for sharing your experience. It feels gentle and peaceful and very loving. What a gift he has given us! It is also bringing us closer together as a couple. Our household is a way happier place. So lovely for both of us and our young baby. Many thanks to you all! Thank you Jon for persevering with your quest and achieving your goals. Putting yourself, your ideas and your thoughts out there before so many people takes courage and conviction. I am so grateful for the person you are – to be not only successful but to also share your success so comprehensively and compassionately with others. Each day I feel a little change, a little shift – in my body and my mind. This holistic approach, this connecting of mind, body and spirit has been the turning point for me in what has been a 20 year battle of me fighting with my body and losing. I am 27 years old, and although I have always weighed around 50 kilos, in the last 2 months I gained 20 kilos. I just couldn’t stop eating, but now that I have read your book, you have changed my life. Thank you Jon, you are the best thing that ever happened to me." Honestly after reading your book, being familiar with Hypnosis and NLP, I think you have tapped into something far beyond and I do hope and pray that you write a similar book for sick people guiding them to get their life back on track and getting healthy. I can proudly say I started listening to the CD about a month ago and I’ve lost 14 kg. I did nothing, I didn’t watch what I was eating and I didn’t do any walking and I still lost 14kg in about 4 weeks… I am so into The Gabriel Method. I wish to thank you for the all the years of research, time, money and trouble finding the answer for weight loss which you have. My daughter and I have been on the advice of your book for four days and we began losing weight immediately. Jon I don’t know how to say thank you for what your book has done for my daughter and I. As you are very well aware of, we have spent small fortunes on every conceivable diet, diet pills, diet foods, diet doctors, diet books etc. Four days after reading your book we no longer think diet, neither of us buy anything advertised as diet. Other than that, we are focused on reading and applying what we read and also listening to your CD every night. The fat is melting off. I am a wellness practitioner at Epigee Wellness Centers in Amarillo TX. Jon’s approach has greatly changed my life, and I am excited to present it to many of my patients. I just wanted to thank Jon Gabriel for sharing his wisdom and giving me so many valued techniques for living a healthy life. I am now more inspired and have a wonderful life. I have heaps of energy and find myself cooking healthy meals, no longer eating junk and drinking water which I never have. I’ve lost 2 kg already. This is amazing and Jon’s method is so true. You have done a wonderful job with losing all your weight and I hope that I will reach my dream figure as well. I want to thank you from the bottom of my heart for your marvelous book. I think your work is spot on. I am 42 and have struggled to control my weight since childhood. Since reading your book, 4 months ago, I have dropped 17kg. It has been largely effortless. Your words so resonated with me, especially the section on beliefs and "fat is safe". As soon as I read that, I knew that was what I believed. I got to thinking about this. There is nothing safe about being fat, it isolates you, stresses you, and leads you to being depressed. As soon as I realized this, it was like a switch went off (or on!) in my mind. My excess fat began to just melt away. I feel peaceful and I just feel as if I am returning home to the me I am meant to be. I feel fantastic, really for the first time in my life. The more weight I lose and the more I do things I love, the more energy I have! God bless you, you have set me free. I’m using the words of others, but have to agree that The Gabriel Method has revolutionized my life in terms of my body image and over all wellbeing. I have steadily lost excess fat since starting the visualization. I now love my body and accept it as a marvelous gift. I have stopped comparing myself with others and wanting their bodies, that has been a positive change. I know I have a way to go before I reach my desired goal, but I’m loving the challenge and seeing the change in my body and mental well-being. I want to thank you for your empathic and passionate work on why diets have made me and others like me fat… For the past 4 weeks, I have been listening to your evening meditation nightly and listened to your book and seminar (at least 3 times each). I find the information inspirational and feel you on my side. I am so grateful for you sharing your journey. Thank you for inspiring me to love my body. Diets have shamed me into loathing myself and deeming myself unworthy ever since my sister and mother put me on my first diet at the age of 8. I feel this turning around for me now and look forward to perhaps inspiring someone else to love their body. Bless you Jon and your soothing voice that sends me to sleep every night! No insomnia since I started listening to the CD and after too many years of being overweight, I am finally seeing results! I started to follow The Gabriel Method book and two months later I have lost 9 kgs. At this time I have not done any exercise due to having arthritis. My aim is to lose another 15kgs & I believe it’s going to happen..Jon Gabriel you are a God send! I started listening to The Gabriel Method visualization/meditation at the end of August. Four months later, I’m down from a size 18 to a 10/12. I have lost almost 40 lbs. I didn’t change much other than to add some walking 5 days a week which I haven’t even done for 2 months since the snow started and I’m still losing weight. I have read The Gabriel Method book in the last 2 weeks, and what a change to my life! I am about 70kg overweight, but have discovered that losing weight is really a change of mindset about your life and food. I lost 2.2kg since I started reading the book and listening to the CD every night. I sleep better, feel better and want to eat better already. I was a chip(crisps)aholic and have not craved any in about 3 weeks now – that alone is a miracle! I just started reading The Gabriel Method book and it is like Jon is talking directly to me and telling me, Hey Jeff, you are not alone and this will work for you. I am thankful to Jon for writing this book. Finally there is something that I can actually do to lose weight – reprogramming the mind makes so much sense to me! I was a little skeptical when I first came across this book but I thought, what have I got to lose, I’ll read it & listen to the CD anyway and see what happens. WOW! I am amazed at the results! I lost 1kg in the first week but the biggest change has been a mental one. I am no longer craving sweet things or worried about food all the time and I find that I am wanting to exercise and eat natural healthy foods. I am a huge fan of your work which has been inspiring and has helped me a lot. As a biology student your ideas make perfect sense to me and explained a lot about why I am the size that I am. Before your book I was obsessed with eating and I couldn’t stop thinking about. After incorporating your ideas into my life I no longer have this food addiction except if I am stressed or not eating right. It is surprising how predictable my body has become! Thanks for sharing your ideas with me and the rest of the world. 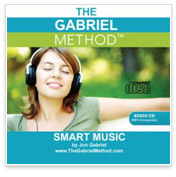 I downloaded The Gabriel Method CD and listen to it every night. It has been miraculous for me. I just can’t think of any other way to describe it. I believe in the power of visualization and this has been another reminder of the powerful link between mind and body. I lost 1kg in my first week and found myself exercising every day and eating much healthier food. I’ve been on The Gabriel Method for three weeks now and have noticed that my belt notch has decreased one notch which is about 2 cm! I don’t even show the slightest interest in cakes, biscuits or other ‘party’ foods and only eat my three main meals (most days), and I now drink a lot more water. I used to not eat breakfast and constantly obsess over food. It was the true ‘famine’ syndrome. I know that I will achieve my ideal weight. I bought the book a week ago, read it that night and wow, it sure did put a lot of "stuff" into perspective about food, weight gain and weight retention. I immediately started to implement "whole foods" and I really don’t feel like eating rubbish at all. I’m enjoying real food, which is good for me and I am already starting to feel like a thin person, because the weight is falling off…. I am feeling so much better, thank you Jon! A week into doing The Gabriel Method I feel better already. I don’t crave sugar, am eating fruits and veggies and am feeling great! Thanks Jon! I just finished The Gabriel Method book. It’s been 3 days since I got it and started reading and listening to the CD. My mindset is changing. My cravings are changing. I don’t want sugar (amazing for me) anymore. I’m so glad to be ending the struggle once and for all. Finally a solution that addresses the real issues instead of throwing diets at it. I am in awe of how well I am sleeping- I’m feeling like a Queen and even exercising with mighty enthusiasm. Visualizing and the mind connection are saving my life. Thanks a million, Jon. I owe a lot to Jon Gabriel and it’s only been 2 weeks since I started this way of life. I have lost 7 kgs, never feel hungry and now really feel like eating the right foods all the time.148 kg to 141 kg in 2 weeks. This is the start of my journey, thank you Jon Gabriel. I have just finished reading The Gabriel Method book, and listened to the meditation CD tonight for the first time. The thing that amazes me most so far is how full I feel after eating a fraction of what I’m used to! It’s like my body just turned off the stomach switch! There’s a full cheesecake sitting in the fridge (normally something I’d sit down and eat in about ten minutes) and it’s just plain uninteresting. Amazing after only a few days of knowing about this book! 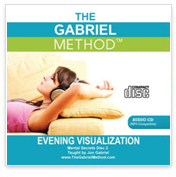 I bought The Gabriel Method book this week, downloaded the CD and have used it every night since. Already I notice I am much more positive, not just about weight loss, but I’m noticing that things that would normally stress or tire me, simply don’t! Also I’m finding I just don’t feel like eating the foods I would normally go for, and am wanting the healthier options. If this has happened in only 3 days, I figure it’s only going to get better. For the first time ever I feel like there is hope.